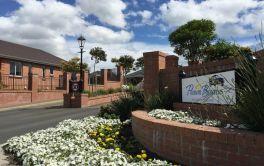 # 19 of 409 Retirement Villages in New Zealand. This facility is owned by MT EDEN GARDENS. 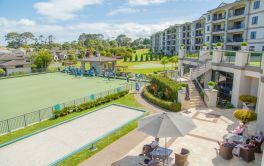 Mount Eden Gardens Retirement Village located in Mount Eden, Auckland, is stated as being "one of the best locations for a retirement village in Auckland". The apartments at Mt Eden Gardens are all individually designed, and all have views of the beautiful gardens - either to the internal 'oasis' or to the gardens and trees around the village. There are a range of apartment styles and sizes to suit various needs - from deluxe 2 bedroom apartments complete with baths to relax in; to small, economically priced 1 bedroom apartments. × Have you visited this facility? Help others who are looking for a place by posting a review on MOUNT EDEN GARDENS Retirement Village or review a different facility now. All good. Can't fault meals or staff. We are blessed. Location size friendliness handy to shops public transport. Uncertainty of selling empty apartments mo medical facility. Small, just 36 apartments, friendly staff, close to buses and village. Ideal for someone who rejects the idea of a large retirement village. Meals if required, good food home cooked. Friendly residents. Has been taken over by Arena, so we await the changes, one thing guaranteed it will remain small. 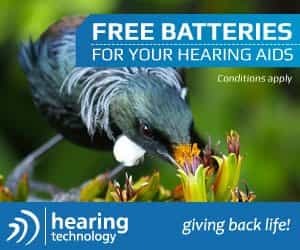 Independent living with assistance/meals as needed or just wanted. Still mourn my spacious home, otherwise no negatives. A full time manager who walks around the whole facility from time to time. On call staff 24/7, independent apartments with services available - meals 7/7, cleaning, social program, library, outings etc availbe for those who like them. Quiet, easy access by foot to all shops and buses. Supermarkets not far. Big gardens, trees and birds. We are independent at 90 and 86, don't call on staff or social activities so can't comment on meals. Manager part time and our observation, would be better full time. Ensure all new residents are not too close to needing full rest home type care. Not good to be here for a very few months, need an assessment and have to move again. All apartments are sound proof, fire doors just incase, lovely communal lounge and dining room, though all apartments have their own cooking facilities, plus fridge freezers, small dishwashers, ovens and hotplates. We provide our own washer and dryer and TV, computer etc. Very close to transport, buses and rail for those who no longer drive. Mt Eden has a lovely village atmosphere with shops and restaurants galore. The traffic jams in Mt Eden village everyday, makes crossing the road a little difficult. I require a unique diet that cannot be provided for. so I have to fend for myslf. Position near village (Mt Eden). 5 mins walk. Ground floor. 2 bedrooms and bathrooms. Location. Village and buses. On call help. [7 days a week] lunch and dinners. Amortisation - considerable. All over 65 but active. Prefer intergenerational housing. 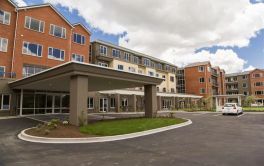 This is a small retirement village - ready access to the real world. Life is near normal.